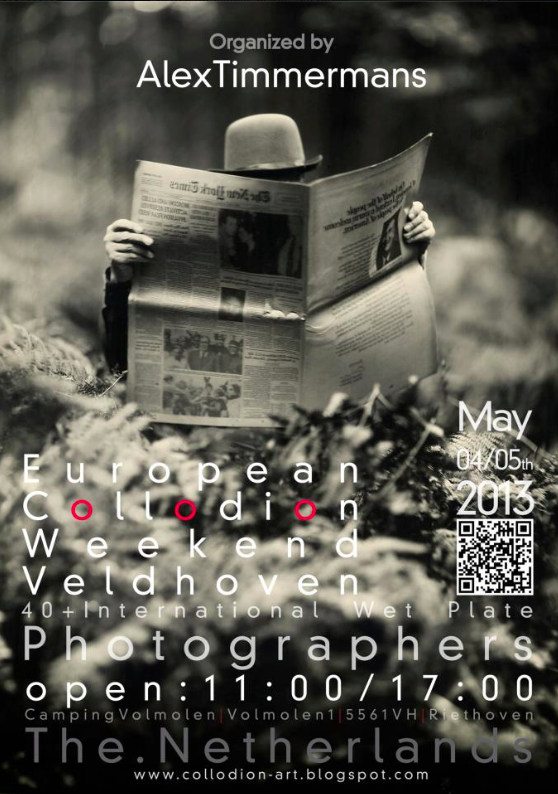 This weekend is the second edition of the European Collodion weekend. On May the 4th and 5th to be exact. Over 40 collodion photographers from all over the world are going to show their skills, creativity and passion.Unfortunately I have to pass on it yet again. Like last year I have to work on Saturdays and will be shooting plates on Sunday on location (yeayyy!). I’d love to have met some of you wet platers, maybe next year! This entry was posted on May 2, 2013 by Contrastique. It was filed under Miscellaneous and was tagged with ecw, european collodion weekend. Wish I could attend. Wish I could find someone in Upstate SC, USA to work with me on wet plate photography. There should be people out there from your area!